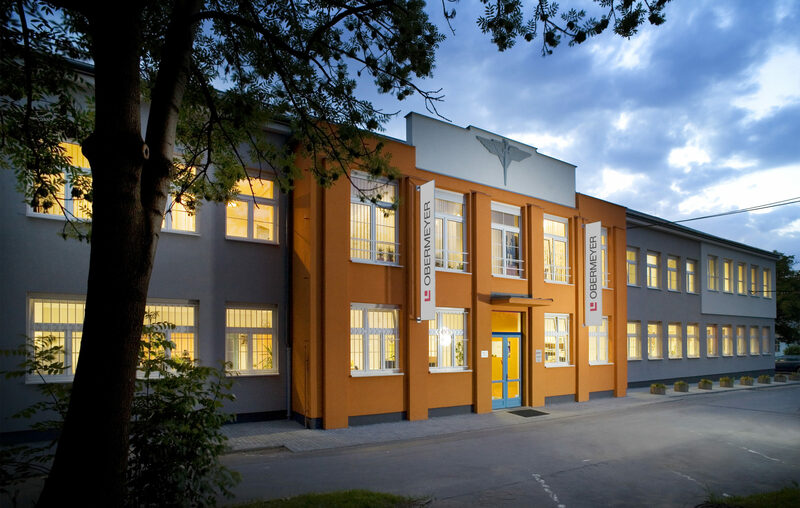 OBERMEYER HELIKA employees over 150 qualified workers and therefore ranks among the largest and most stable offices architectural, design and construction-consulting firms in the Czech Republic. In addition to the domestic market, we also work for clients from other EU countries, Eastern Europe, Africa and the Far East. OBERMEYER HELIKA have been in the Czech Republic since 1990 (under the original name HELIKA) and celebrate their 28th anniversary of successful operation on the market. They have also been present in the Slovak Republic since 2004, with an active branch that serves customers from European Union countries, Eastern Europe, Africa and the Far East. Since 2007, they have been part of the multinational Obermeyer Group (www.opb.de), which are one of the largest engineering offices in Europe and have a global presence. We employ a professional team of more than 150 experienced architects, civil engineers, designers, technicians and many other specialists who have extensive experience in proposing, designing and realizing technically demanding, large-scale projects for most types of buildings and categories They are one of the leaders on the Czech and Slovak markets in 3D design and the BIM construction modelling systém. We have extensive experience in proposing, designing and realizing technically demanding, large-scale projects for most types of buildings and categories. We have participated in projects that include residential complexes, shopping centres, office buildings, public administration buildings, cultural institutions, buildings used for health and spas, church buildings, school buildings, industrial and logistics facilities, and transport infrastructure projects. We also have extensive experience with the preparation of urban studies in the Czech Republic and abroad, as well as submission of proposals in architectural competitions. OBERMEYER HELIKA are certified in quality management according to the ISO 9001 international standard, which guarantees a high standard of services in the design of buildings and transport services, infrastructure and engineering services. They follow the ISO 14001 Environmental Management System that certifies their compliance with the principles of environmental protection and the OHSAS 18001 safety management system. OBERMEYER HELIKA hold the National Security Authority certificate, which qualifies them to work on special projects for the Army, Ministry of the Interior and other entities.